The Hennessey Venom F5’s bespoke design and chassis will also help achieve even greater performance through improved aerodynamics and technology. Hennessey will rely on Pennzoil Platinum 10W-60 Full Synthetic motor oil and Shell VPower® NiTRO+ Premium Gasoline to protect and power the Venom F5 across any finish line. 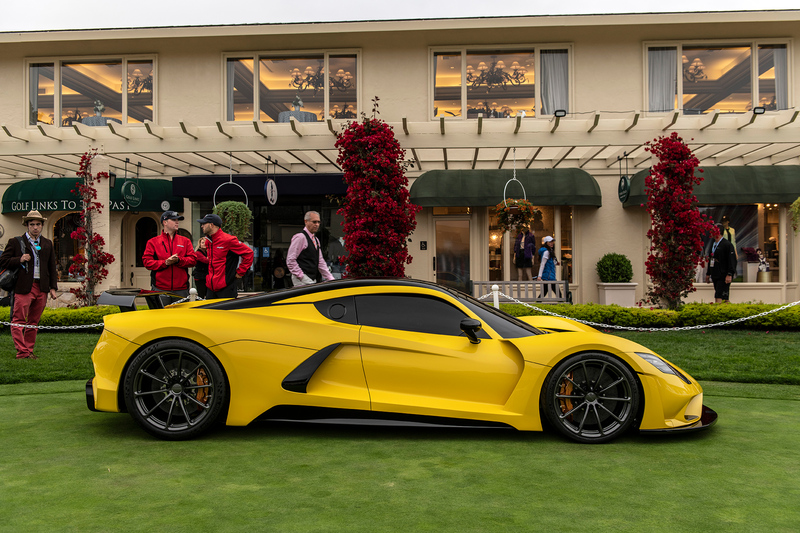 Here are some photos from the 2018 Pebble Beach event.